Designed with cabinetmaking in mind, not timber framing, these well-balanced Mortise Chisels are ground with parallel sides and are taller than they are wide to help keep them straight in the cut. 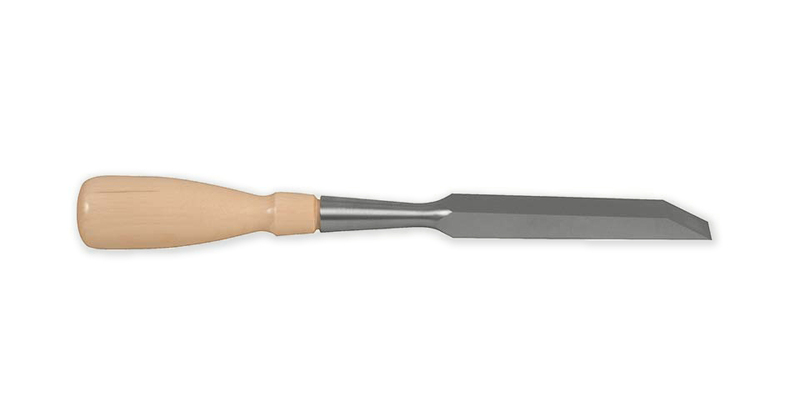 Our Mortise Chisels are made of A2 Tool Steel, hardened to Rockwell 60-62, cryogenically treated and double tempered. Overall length ranges from 9-¾" to 11". Beveled at 30º, hornbeam handles. Plane maker Larry Williams requested that we make a 1/10" Mortise Chisel for his work. The 1/10" Mortise Chisel is handy for very narrow work. have natural color variations in the wood grain. Edges are square, parallel along the length, and very narrow so you can get into tight places. The bevel is flat ground at 30º, the backs are ground flat and finished by hand at 400 grit. Chisels should be kept very sharp for best performance. The bevel is hand-lapped at 30º, but a higher secondary bevel of an additional 5º is advisable, depending on the wood and how the chisel is being used. On very hard woods, like oak, hard maple or exotic species, take lighter cuts and use a higher secondary bevel. Additional honing is recommended. Do not force the tool, especially when dull. Do not strike with a metal hammer. For more information on advanced sharpening we recommend David Charlesworth’s videos Plane Sharpening and Precision Preparation of Chisels for Accurate Joinery, available in both DVD and streaming formats. When your Chisels arrive, the handles may be loose because of wood shrinkage. They may also loosen during dry weather. 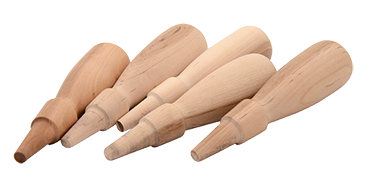 The handles are held in place by the wedging of the wood into the tapered socket. Just rap the chisel handle upside down to re-seat the handle. Although we’ve had chisel sets in our shop for years without the handles coming loose, some people have the opposite experience. One solution to a loose handle is to apply hair spray to the tapered section and re-seat as described. Strange as it may sound, it’s effective - and unlike glue, it’s reversible. Our chisels are made of A2 Tool Steel, hardened to Rockwell 60-62, cryogenically treated and double tempered. 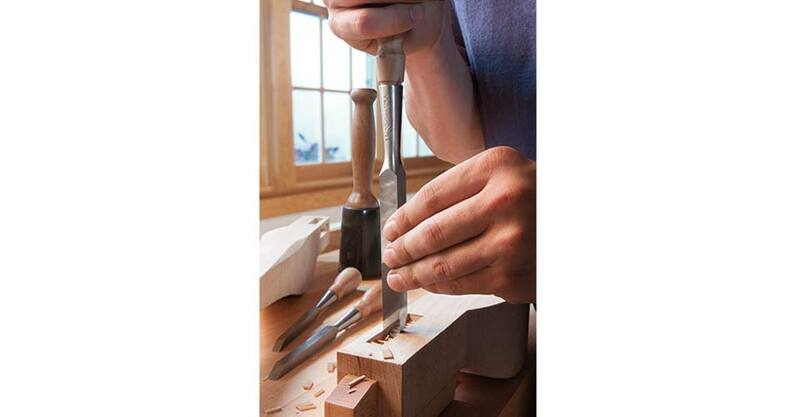 To protect your chisels from rust, be sure to oil, wax and/or wrap the tools after use. We recommend Jojoba Oil, a plant based oil product that is non-toxic, odor-free and easy to use. Also, in our shop, we use a fine abrasive handblock to remove any light surface oxide from tool bodies and blades. Jojoba Oil and abrasive handblocks are available from us. Handles are oiled and buffed with wax to produce a natural finish. Wipe with oil as desired to refresh.